​We develop Facebook, Twitter, and other social media campaigns for our clients. As of July 2015, total worldwide population is 7.3 billion. The internet has 3.17 billion users. There are 2.3 billion active social media users. 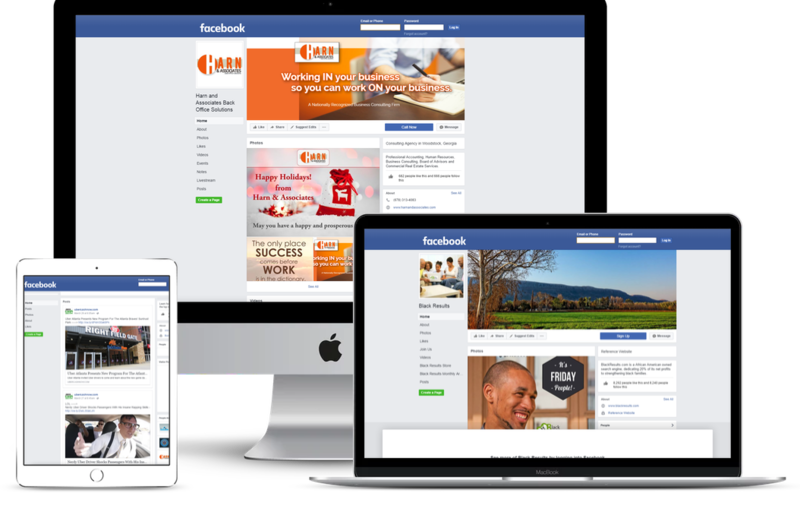 Customized Facebook pages can be a very cost effective way to keep potential clients and customers engaged with your brand during the holiday season. IF YOU DON'T HAVE A SOCIAL MEDIA STRATEGY NOW, GET ONE QUICK! Chances are, your competitors know the importance of winning the hearts and minds of your potential clients/customers through social media. Don't get left behind. Get ahead of the curve! Ability to run contests or giveaways to your Facebook fans. Having a social media account is useless in business unless you have content that engages your audience. We specialize in creating content that your audience will love and appreciate. It's through that engagement that you will reach new potential clients and customers! If the content is interesting, they will share with their friends and you've just gone viral! “Organic" or ​“Paid" Social Media Advertising? We will analyze your social media marketing budget to see if we can use paid promotion via Facebook or Google to increase your marketing position. Gaining new customers can be done 2 ways. Organic Marketing - Gaining marketing position via posts, shares, likes, promotions, and contests. Paid Promotions - The same as "organic" except you accelerate the success of the campaign by "paying" the social media platform for additional exposure. We'll help you navigate these options and monitor the campaign for success. At the left you will see an example of how we will keep your social media account current and up to date with content that will resonate with your audience. Social Media is a great way to grow your professional network and to also grow your business. Allow us to help YOU grow today!